Thank you for your many years of support. We have retired our nursery business. Please feel free to call us still for any landscaping needs you may have. 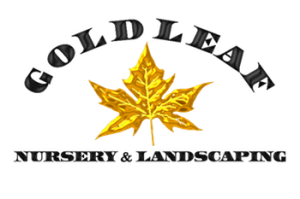 With over 40 years of Landscaping in Shasta County Gold Leaf has built a knowledge and skill base that provides its design team with the advantage of knowing what works, but more importantly what customers want. Decorative concrete can enhance your home’s appearance but if you choose to replace areas of your lawn with patios or walkways it can lower your maintenance time and costs, from things such as mowing, weeding and fertilizing. Excellent selection of wood shrubs and trees. I was impressed by the variety of plants available and how they are displayed around the central patio of the nursery. While other nurseries focus on bedding and color, Gold Leaf is more focused on woody shrubs, landscape grade plant material, and trees. They offer fruit trees, shade trees, roses, some perennials, groundcovers, and conifers. They also offer sod, and fountains plus a few pots and garden art pieces. Staff is friendly. I tend to shop several nurseries to find plants for clients and Gold Leaf is a great first stop.